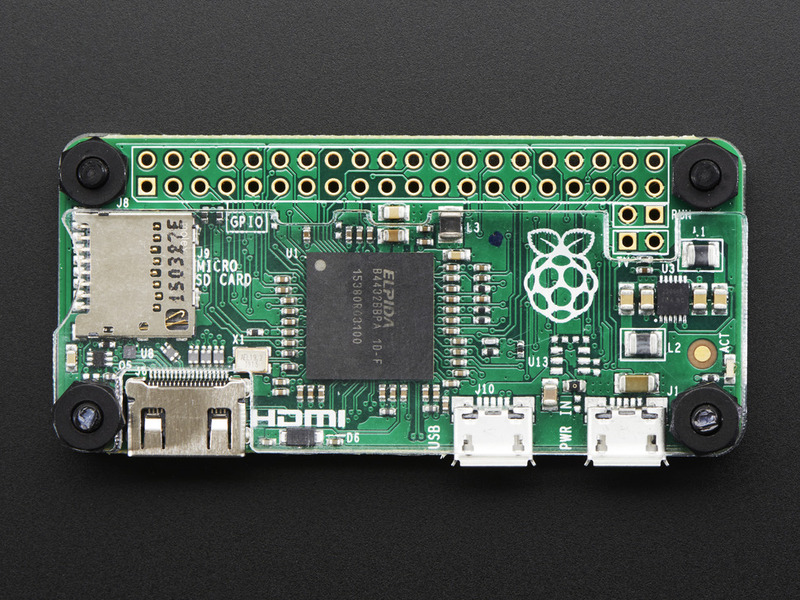 Raspberry Pi Zero != Zero but only £4 !! There were reportedly 10,000 units made but at £4 it sold out quickly on all the online sites. It you were lucky to find a copy, it was free with this months edition of the MagPi magazine. It must be the first time you bought a computer magazine and actually got a free computer !! Spec wise, it’s basically a slightly faster version of the rev2 Raspberry Pi A & B but in a much smaller outline (65 x 30mm). It uses a 1GHz BCM2835, with 512MB of RAM, micro HDMI for video, micro USB for data and micro USB for power. All great except I think the choice of a micro USB for data is a mistake. You lose the advantage of the new smaller size and price point by needing a USB A to micro USB adapter or cable to connect keyboards, mice and WIFI dongles. At 65 x 30mm makes it an great choice for many a small projects. At this size, it has allowed me to dust off a couple of retro gaming projects I’ve had sitting on the shelve. I’ve ordered a couple so just waiting now for new stock at Farnell then I can add it to my every growing pile of Pi’s. You are currently browsing the Zuzebox's Blog blog archives for November, 2015.